If you wind back time, all the way back to before you were born – before your mom was born, and even further back to before your mom's mom, and even her mom was born – you may find yourself sometime around the Civil War. This was, of course, a difficult time for our country. Beyond the harsh realities of war, tuberculosis and typhoid fever were waging their own war made worse by the poor sanitary and health conditions of the day. Cue Ann Marie Jarvis, a woman of Virginia and a mother who believed in helping others. Seeing the need, in so many ways, for the civility and safety of life to return to her war-torn country, Mrs. Jarvis got to work. She created Mother's Day Work Clubs that raised money to buy medicine for those stricken with TB. She created programs to inspect milk long before it was required by law. She organized classes to provide health and safety training for the women of her clubs. During the war, and with their newfound training in health and medicine, her clubs remained neutral and offered nursing assistance to soldiers from both sides. And after the war, with citizen's still divided, public officials reached out to Mrs. Jarvis to create a celebration for soldiers and families, both Blue and Gray. Two years after Mrs. Jarvis passed, her daughter Anna carried on her mother's tradition of organizing and celebration, and every May starting in 1907, honored her mother and others with simple celebrations. Eventually she started a crusade to make "Mother's Day" a national holiday. Finally, in 1914, nearly 60 years after Mrs. Jarvis' first Mother's Day Work Club, President Woodrow Wilson signed into law Mother's Day, to be held the second Sunday of every May. 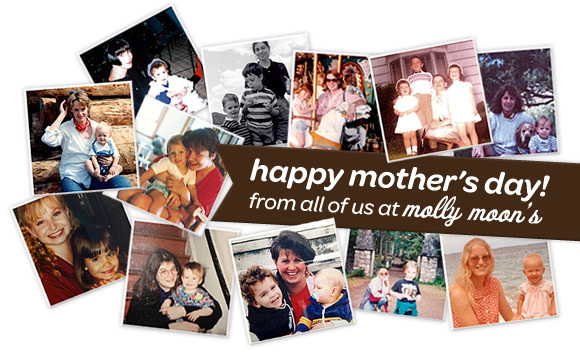 Whether you have a mom, are a mom, or love someone who is a mom, it's important to know just where this day came from. The need to overcome differences and help each other is so simple that it can feel revolutionary, and so we honor the sacrifices made, and the sacrifices that moms make every day without ever thinking twice. No matter who you call Mom, this Sunday is for them. Mother's Day will be just a little bit sweeter this year 'round these parts, as there just so happens to be a new mom at Molly Moon's. 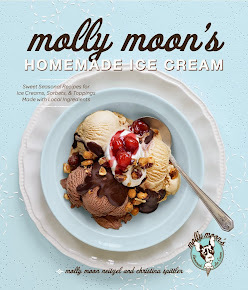 In fact, it IS Molly Moon! On February 14th, 2013 (yes, Valentine's Day, speaking of holidays! 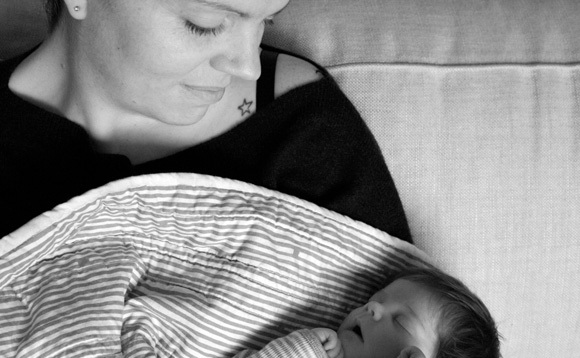 ), Molly and her husband Zack welcomed into this world miss February Moon, weighing in at 8 lbs, 14 oz. The little family is doing well & wishes all the new moms in Seattle a happy Mother's Day, too!